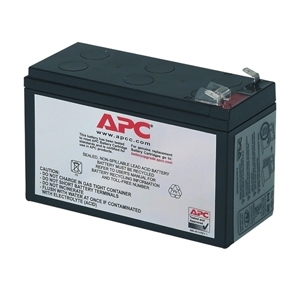 As a paragon for effective UPS batteries the APC RBC2 Replacement Battery Cartridge #2 delivers in the clutch. APC provides protection against some of the leading causes of downtime, data loss and hardware damage: power problems and temperature. As a global leader in power availability solutions, APC sets the standard in its industry for quality, innovation and support. Its comprehensive AC and DC power solutions, which include the APC RBC2 Replacement Battery Cartridge #2, improve the manageability, availability and performance of sensitive electronic, network, communications and industrial equipment of all sizes. Grab the APC RBC2 Replacement Battery Cartridge #2 and never experience downtime again!